This is a group of 3 sections of aluminium airframe also a brass pipework section from inside one of the Jumo engines and a empty 7.92mm bullet case which retains its original colour and has its maker markings that can be seen before it was mounted it is in nice,clean condition as are all the parts and all the parts have been mounted in to a glass fronted box frame with plane and crash information and pictures the frame is 13 half inches by 11 inches in size.The parts come from German Ju88 bomber number 3162 shot down on the 18th September 1940 and crashed in the Sea of Sheerness in Kent. A very nice group of parts from the famous battle of Britain and German Ju88 bomber this one shot down by famous ace already to hang on the wall or stand on display. 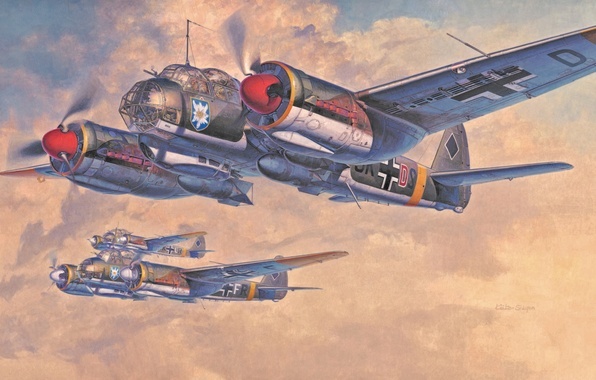 German Junkers ju88A-1 bomber work number 3162 the plane was shot down by RAF fighters and crashed in to the sea off the Nore,Sheerness on the 18th September 1940 at 5.30pm. The JU88 had one engine damaged by AA fire during sortie to bomb Tilbury docks and then attacked by fighters. It was attacked by pilot officer H.P.Hill of NO 92 squadron also engaged by squadron leader D.R.S Bader of No 242 squadron and flying officer J.Kowalski and sergeant S .Paterek of NO 302 squadron.